"Pawsitive Training for the Naughty Dog"
My true love for dogs started at a very young age when my dad brought home Romeo, my first dog. He was a nine month old hound mix who lived a wonderful life until the ripe old age of 14; teaching me many lessons along the way. Compassion, commitment, joy, trust and respect were many of those lessons learned. I would like to help my clients and their furry friends achieve through a positive reinforcement reward approach that is fun for both dogs and humans alike! 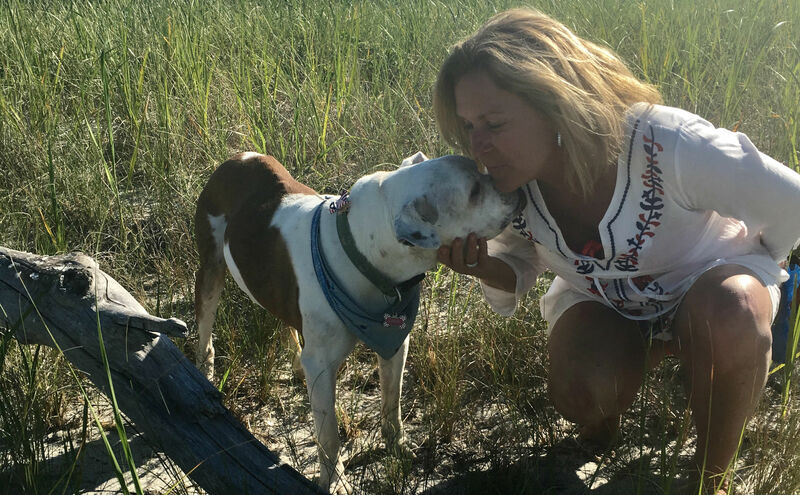 My journey continued in 2007 when I began volunteering at both the MSPCA Nevins Farm and the Lowell Humane Society where I learned so much about how dogs learn and the best methods with which to teach them. I do this work because it is my passion to help these dogs who had been surrendered for abuse, neglect and sometimes just plain bad luck to become “adoptable” pets. I work with what I like to call the “naughty” dogs who by no fault of their own have ended up at the shelter and suffer from some of the most difficult behavior issues out there e.g. aggression, fear, impulse control and resource guarding. My goal through positive reinforcement training program is to help you better understand what your DOG is trying to tell you and to help YOU better understand your dog. I am a graduate of Catch Dog Trainers Academy Master Class and a Mentor Trainer for Catch as well. I am a volunteer evaluator for Animatch (Mass Animal Coalition) and have attended Aimee Sadlers Dogs Playing for Life as well as Karen Pryor’s Clicker Expo. I am a Dog Task Force member at both the MSPCA Nevins Farm as well as the Lowell Humane Society, I have also been an active volunteer at Nantucket Island Safe Harbor for Animals for the last 7 years, helping with training consults on behavior cases as well as transports of the LMR pups from Mississippi.